The true beauty of India lies in its very fabric of secularism which allows several different cultures, races, and religions to thrive together in an atmosphere of harmony. But from time to time, the political climate turns rogue on this beauty and it leads to some unpleasant events. Whether its 1992’s Babri Mosque Demolition or the Gujarat Riots of 2002, the humanity has faced danger from the evils of communalism owing to the riots between two communities, Hindus, and Muslims. But our filmmakers have left no stone unturned in portraying the horrors of riots in their films. 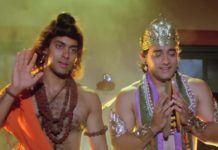 Here are some of the finest Indians films on Hindu Muslim Riots, that have portrayed the tragedies with utmost sincerity. You can also check our List of Bollywood Movies based on India’s Partition of 1947. This underrated gem of a film was written and directed by Rakeysh Omprakash Mehra, who returned after directing the cult film Rang de Basanti. He smartly incorporated the innocence of Delhiites and combined it with the religious tensions to tell a beautiful story. 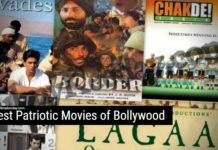 The film excelled in every department and when it comes to landing a social message, it even surpassed Rang De Basanti in many ways. This one remains one of the most underrated Hindi films of all times. This gem hailed from a time when the filmmakers used to be brave about their voices. Maniratnam, in particular, has never shied away from saying what he felt about the 1992 Babri demolition and the subsequent riots that took place immediately. It was a very humane story about how the people became the unfortunate victims of political agendas and turned onto their very own brothers. The film is remembered for its timeless music by AR Rahman and its heartbreaking yet powerful themes. 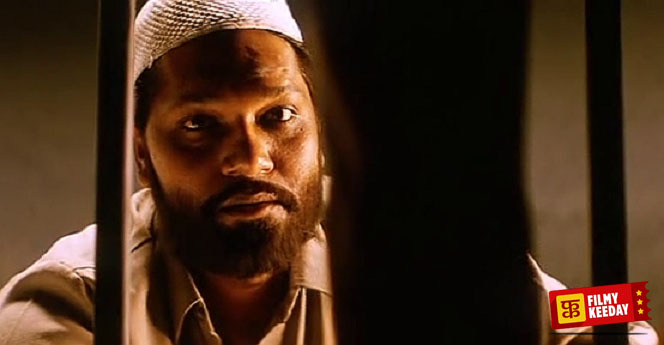 Bombay is part of war trilogy of Maniratnam is one of the Best Movies on Hindu Muslim Riots. Indian actress Nandita Das chose Firaq to be the project she wanted to do her directorial debut with. The anthology film starred some of the most acclaimed Indian film actors and painted a very horrific art on the canvas of cinema. The anthology film is based on the 2002 Godhra riots and how it affected several people at the very same time. The film did not leave a mark on the box office but was heavily acclaimed during its film festival run in many countries. Acclaimed film director Aparna Sen made this heartfelt film staged amidst the communal strife in India. The film focuses on the story between a Muslim photographer and a Hindu Brahmin girl as they take a bus ride together along with other passengers. Outside the bus, the country is suffering from communal tensions. Somehow, the film managed to score big at many national and international film festivals and was also appreciated by the Indian audiences as well. Canadian filmmaker Deepa Mehta made Earth after Fire and followed Earth with Water, to complete her trilogy. Earth is set in the period right before the partition of the country and how a Parsi family decides to not take sides when the country was being divided into two parts. 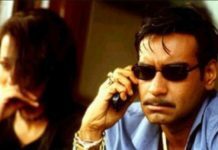 The film was the official Indian entry to the 1999 Academy Award for Best Foreign Language Film category. Deepa Mehta remained a controversial director and had to resume making films in Canada after facing frequent bans by the Indian censor board. Anurag Kashyap has made some daring films during the course of his career. But nothing tops Black Friday, a film set during the aftermath of Bombay Bomb Blasts of 1993. As the film investigates the perpetrators of the blasts, it occasionally moves to flashbacks and enacts the horrors of the riots that shook the entire nation. Those riots fuelled the anger that led to the dreaded bomb blasts. 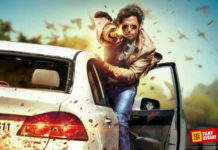 The film got banned initially for being ‘way too honest’ with the portrayal of the riots and taking names, but it was eventually allowed a release in 2007, but by then it had already become a cult film. Gadar: Ek Prem Katha was one of the biggest critical and commercial hits of the year and it was the year that also had Lagaan. Sunny Deol perfected the role of Tara Singh, an innocent Sikh man who turns violent when the violence breaks out following the partition of India in 1947. Amidst the cruelty and violence, he finds love for a Muslim girl, whom he knew formerly, Sakina. The film’s success compelled many other filmmakers to come ahead with films on the similar lines but none of them matched the scale or success of Gadar.